Shopping carts work hard. They carry heavy loads through all kinds of weather at all hours of the day and night. Carts generally receive little respect either, with youngsters climbing on them and shoppers of all ages ramming them into walls and deserting them in parking lots in inclement weather. It’s nice, then, to see someone looking out for their welfare. 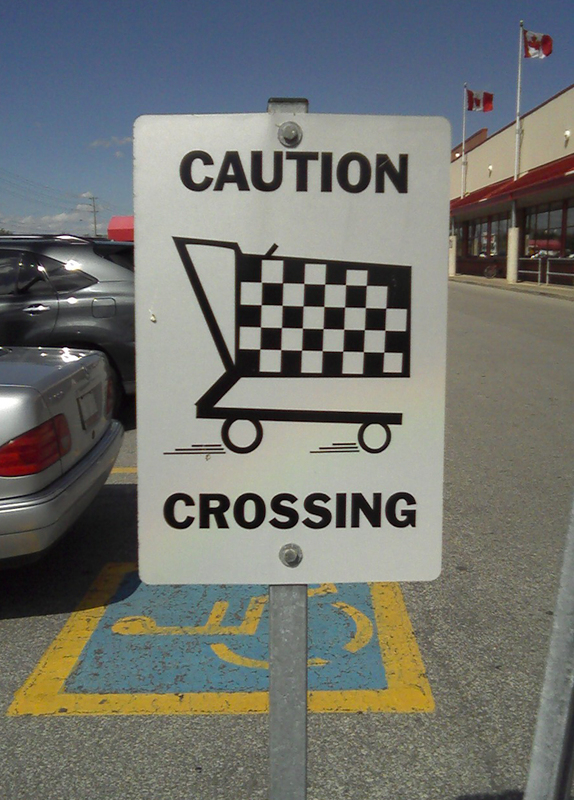 I’m happy to wait for a few seconds while a shopping cart rolls quickly across the parking lot. 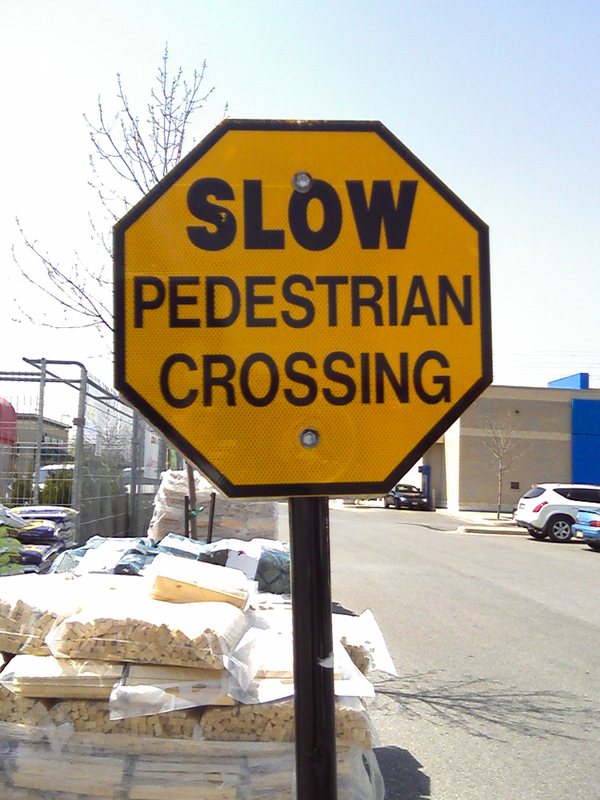 Slow pedestrians are another matter. Not the ones, of course, who acknowledge that a motorist is waiting and do their best to hurry out of the way. No, I mean the walkers who know you’re there waiting, who look you right in the eye and then proceed to mosey across the road in slow motion, drinking coffee, talking on the phone, stopping to chat with friends, gaze aimlessly at the sky or write themselves a note. Those pedestrians refuse to acknowledge that you have better things to do with your time than wait for them and just get out of the way. They’re incredibly rude and selfish. It’s good, therefore, to have advance warning of where the slow pedestrians will be crossing so you can take another route. I dare say that it ruins their fun; another bonus for motorists. Cute! I especially like the modern art looking cart.